​Mary Ann Neiswinger, 91, passed away Tuesday, November 6, 2018 in Bloomington, IN. 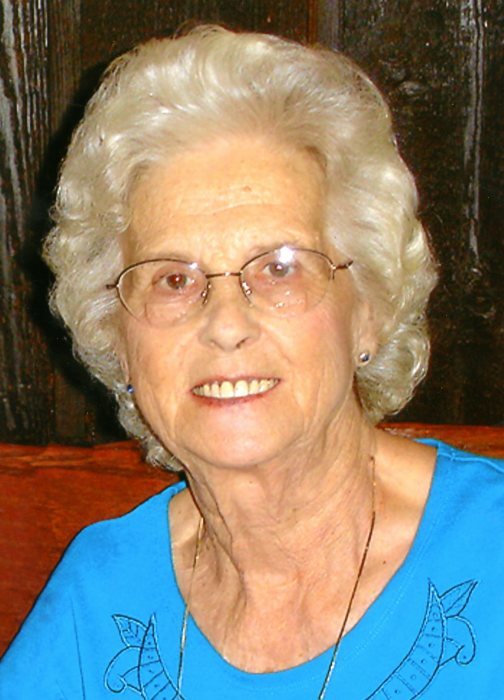 Mary Ann was born in Terre Haute on April 20, 1927 to Joseph Gaiter and Zelma Everett Gaiter. She was a professional seamstress and created costumes for dance recitals and other events. She enjoyed square dancing at Dragon Square Dancing Barn with her husband in the clothes that she would make for them. She loved traveling and gardening. She attended United Methodist Church. She spent her early life in Terre Haute but lived in Indianapolis for more than 50 years before spending her last 4 years in Bloomington. She was preceded in death by her parents and by her husband of 69 years, Norman David Neiswinger, who passed away November 18, 2014, as well as her sister Phyllis Shoaf, and her grandson-in-law Brian Tunis. She is survived by two daughters, Dr. Sandra Kelley and her husband Paul Kelley of Buford, GA, and Dr. Karen Hallett-Rupp and her husband John Rupp of Bloomington, IN. She is also survived by two brothers; Leo Bach and his wife Barbara of Seelyville, IN, and Sebring, FL, and Robert Bach and his wife Tinka of Fairmount, IN and Sarasota, FL; by grandchildren, Kimberley Kelley-Tunis, Paul “Jay” Kelley III and his wife Keri, David Kelley and his wife Linda, Nicole Hallett and her husband Jonathan Manes, Devon Hallett, Jonathan Rupp, and Stephan Rupp; and by 9 great grandchildren as well as several nieces and nephews. Services will be on Saturday, November 10, 2018, at 12:00 p.m. (noon) at Roselawn Memorial Park Chapel of Memories; there is no visitation. The family suggests that in lieu of flowers, contributions be made to CHANCES for Youth, 14th and Chestnut Food Bank or a food bank of their choice, or to the Terre Haute Boys and Girls Club. Greiner Funeral Home, 2005 North 13th Street was entrusted with arrangements. Online condolences may be made at www.greinerfuneralhome.com .